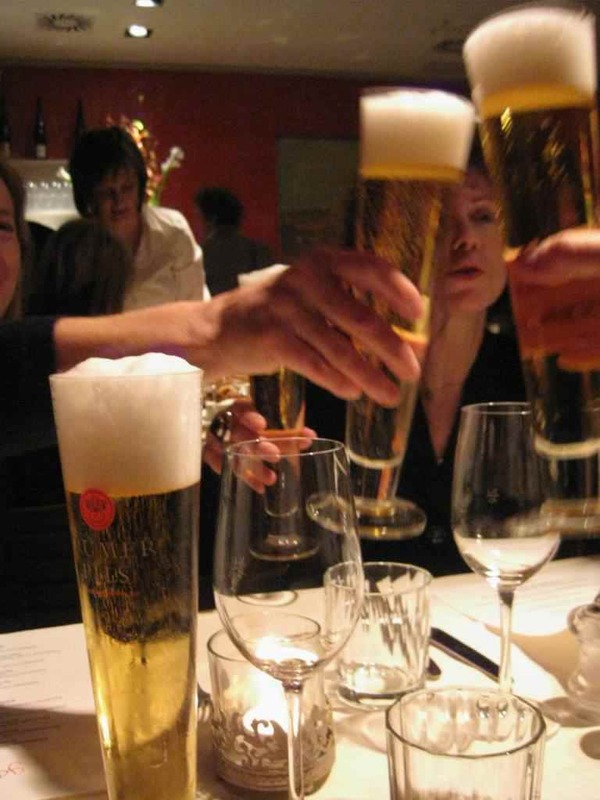 Here’s a good tip for choosing a restaurant or cafe in German-speaking countries: Find out which type of beer they are serving. First, most all beer in Austria is good, nothing like industrial brew from the USA, but there is a difference. Second, beer companies subsidise restaurants for the costs of installing the beer taps and equipment, and then require the restaurant to serve only their (and jointly owned) beers. This means that restaurant owners face a real decision on which beer to serve. It’s not like the USA where you can go to a bar and find 20 different types of beer on tap. 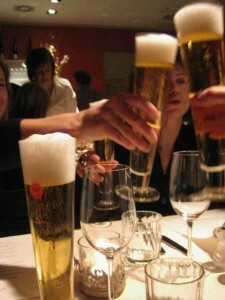 Look for a restaurant serving a good beer, it’s very likely that the food will be good too. What’s a good beer? One of the best in Austria is Trumer Pils. I’ve never found Trumer Pils in a bad restaurant, and in fact, almost all the restaurants I have eaten in that serve Trumer Pils are excellent. Since I’m a big fan, in 2009 we visited the brewery in Obertrum am See (Salzburg Land) and took a one-day brewing workshop. Here’s my Blogger Post on the Trumer Creativ Braueri. As I said, there are lots of other good breweries in Austria. Like the USA, it’s probably no surprise that many of these breweries are small and privately owned, not big and corporate-owned. So, while almost all the beer in Austria is good, look for one of the smaller breweries and you probably won’t go wrong. Add your favourites in the comments!